For back pain, osteoarthritis, rheumatoid arthritis, frozen shoulder, period pain, osteoporosis, spondylitis, sports strains, muscular painRecommend by pain clinics and physiotherapist, TENS is safe and effective with no side effects and has been used successfully by thousands of pain suffers. Stimulate your body's own natural defences against pain. 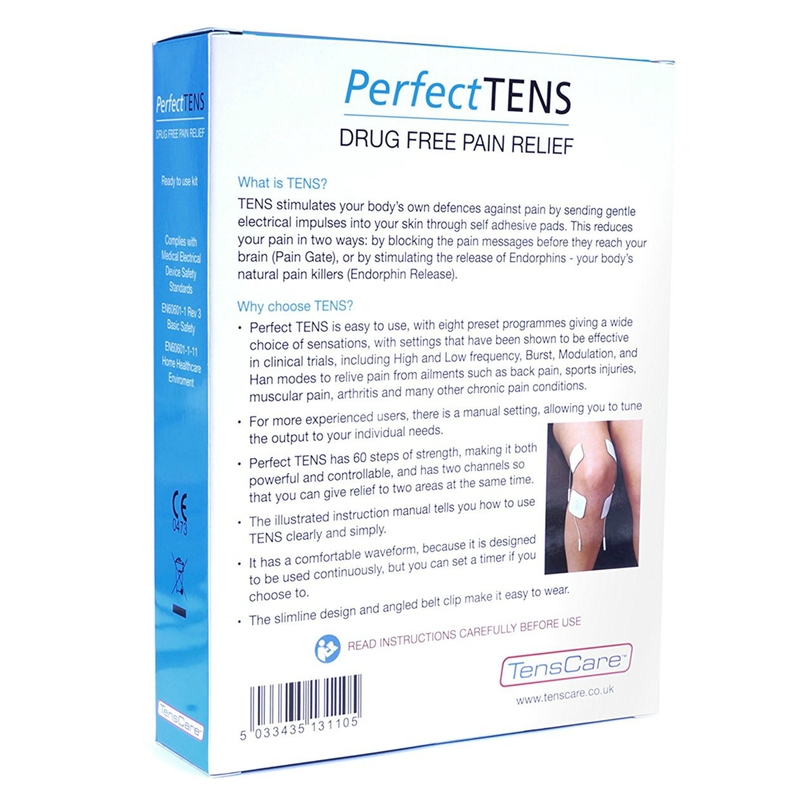 TENS stimulates your body's own defences against pain by sending gentle electrical impulses into your skin through self adhesive pads. This reduces your pain in two ways: By blocking the pain messages before they reach your brain (Pain Gate), or by stimulating the release of Endorphins - your body's natural pain killers (Endorphin Release). Why choose the Perfect TENS? Perfect TENS is easy to use, with eight preset programmes giving a wide choice of sensations, with settings that have been shown to be effective in clinical trials, including High and Low frequency, Burst, Modulation ,and Han modes, also one manually adjustable programme, allowing you to tune the output to your individual needs. 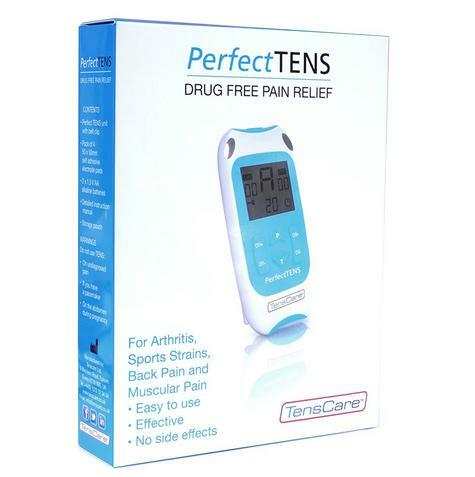 Perfect TENS has 60 steps of strength, making it both powerful and controllable, and has two channels so that you can give relief to two areas at the same time. The illustrated instruction manual tells you how to use TENS clearly and simply. 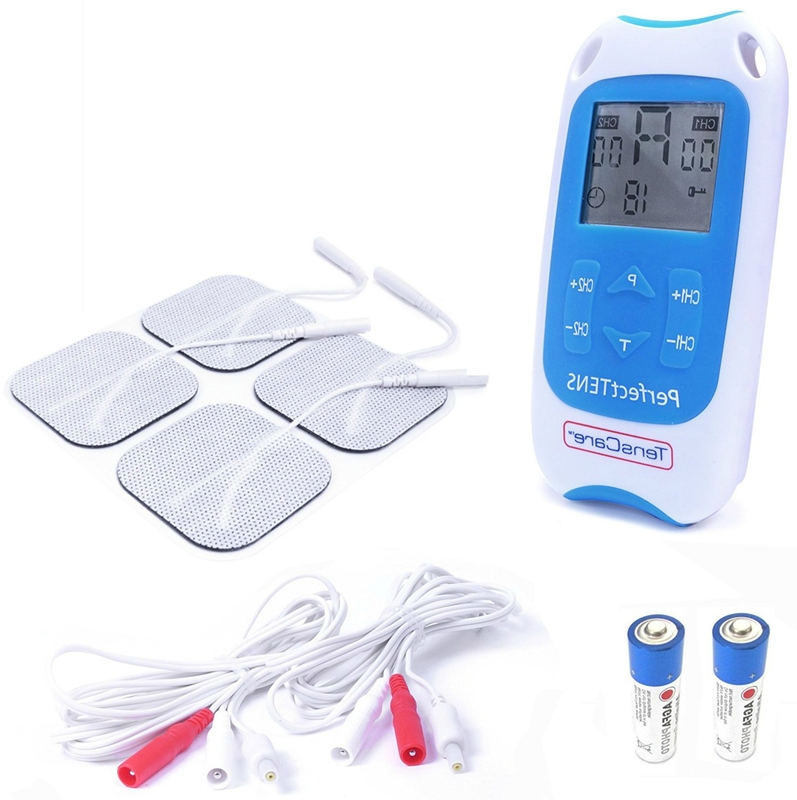 The Perfect TENS uses TENS (Transcutaneous Electrical Nerve Stimulation) to relieve pain by a) helping the body to release natural painkillers (called endorphins), and b) by blocking pain signals to the brain. 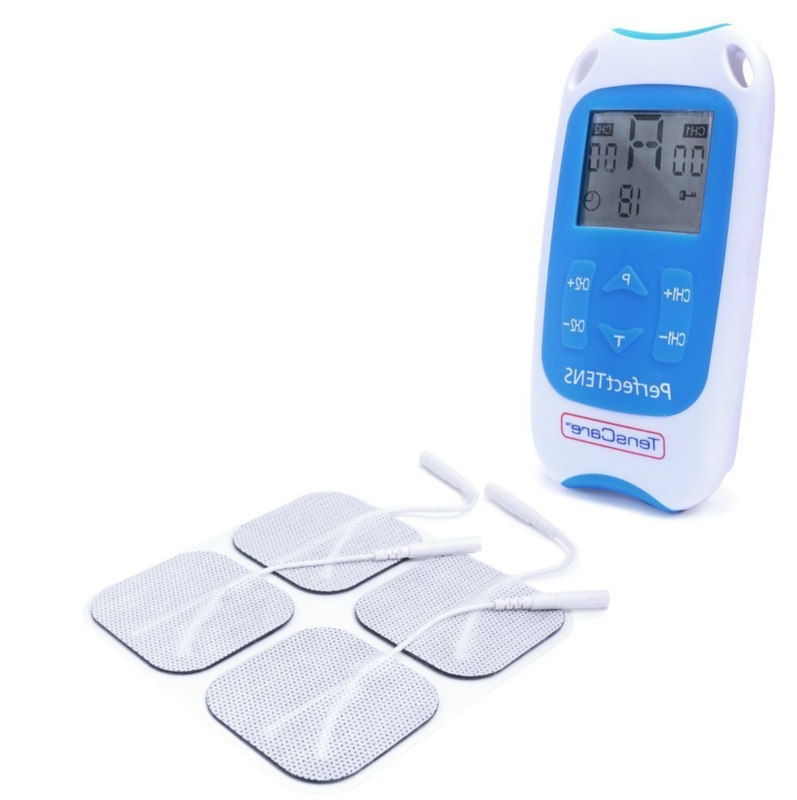 Self-adhesive electrode pads deliver small electrical impulses through the skin and stimulate the nerves in the affected area - providing drug-free, long-lasting pain relief in the comfort of your own home. PLEASE NOTE: The electrode pads need to be applied directly to the skin before the intensity increase buttons will operate. 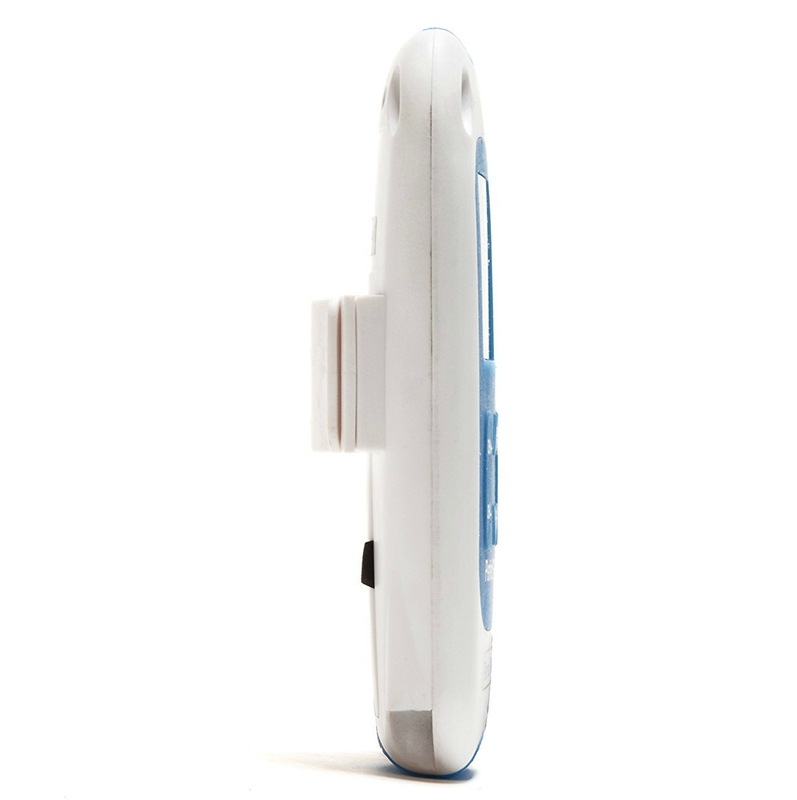 If the Perfect TENS detects the unit is not properly connected to you (for example if the pads or leads come loose) then the unit switches the intensity to zero. This safety feature prevents any unpleasant changes in output.